[Jesus said,] "But to you who are willing to listen, I say, love your enemies! Do good to those who hate you." Can you think of anything more convicting than these words of Jesus? The goal of a Christian is to be like the Master. That means we are redemptive in all that we do. 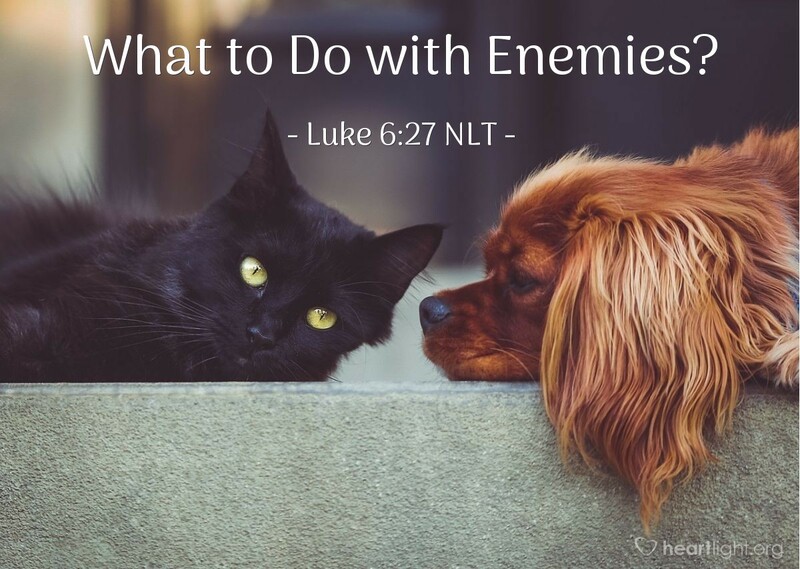 The goal is clear with our enemies; we are to love them and to do good to them. The question for us is not what our goal or our example is. The question is whether or not we have the courage and the commitment to listen to Jesus and follow his teaching. Father, I confess that doing good to and loving my enemy is not something I enjoy doing or find easy. Please use your Holy Spirit to transform me and empower me to be more like your Son as I deal with my enemies. Give me the wisdom to know how to stand for righteousness and truth, to oppose evil and those who promote it, and not to become corrupted by the power of hate. In Jesus' name, I pray. Amen.